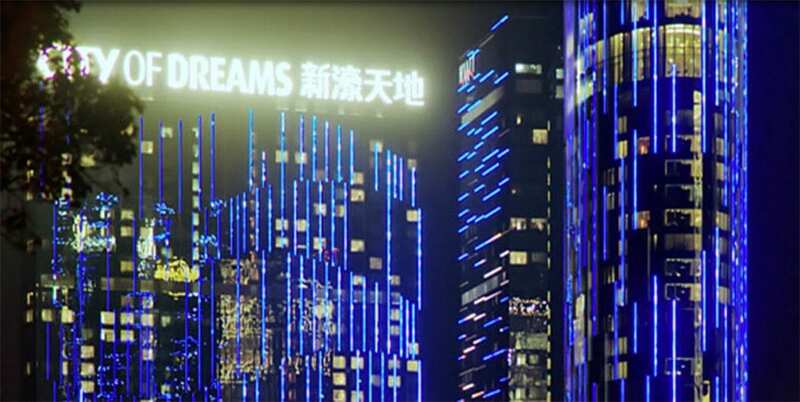 City of Dreams is one of several Melco Crown casino resorts in Macau. James Packer has canned plans for a Las Vegas casino and sold down almost half his stake in the Macau-based Melco Crown partnership. Crown Resorts revealed on Thursday that it had agreed to hand over $1.6 billion in shares, thus reducing the company’s stake from 27.4 per cent to 14 per cent. The Melco Crown joint venture operates three major casino resorts in Macau – the Altira, City of Dreams and Studio City – as well as the Mocha Club chain of gaming venues. It also runs a City of Dreams Manila sister site in the Philippines. The news comes in the wake of a tumultuous few months for Crown in which its share price has tumbled and its international operations have spiralled into chaos. The Australian gaming giant’s already waning overseas VIP trade suffered a near-fatal blow in October when Chinese police arrested 18 Crown employees on suspicion of gambling crimes. Now Mr Packer appears to be on the verge of withdrawing from the Asian gambling market altogether in order to focus on future and ongoing projects closer to home. Chief among those is the Crown Sydney casino development at Barangaroo Point, which is scheduled to open in 2020. Crown Resorts chairman Robert Rankin said the Melco selldown would free up the capital required to “underpin the company’s future of the next decade”. That includes wiping out around $800 million in debt and bankrolling a share buy-back scheme to the tune of $300m, with the remaining $500m pigeonholed for shareholder distributions. The company also confirmed that it had given up on the idea of setting up shop in Las Vegas after failing on two separate occasions to gain a foothold in the United States gambling mecca. Two years ago Crown claimed that its subsidiary brand, Alon, would open a world-class casino resort on “the best piece of undeveloped land on the Las Vegas Strip” by the year 2018. That announcement came five years after the company paid $50m to get out of a $1.75bn agreement to buy Cannery Casino Resorts, which was sold to Boyd Gaming earlier this year for a cut-price $230m.